Fall time is a time when you are allowed to layer as many clothes as you want, as long as you do it in the right fashionable way. 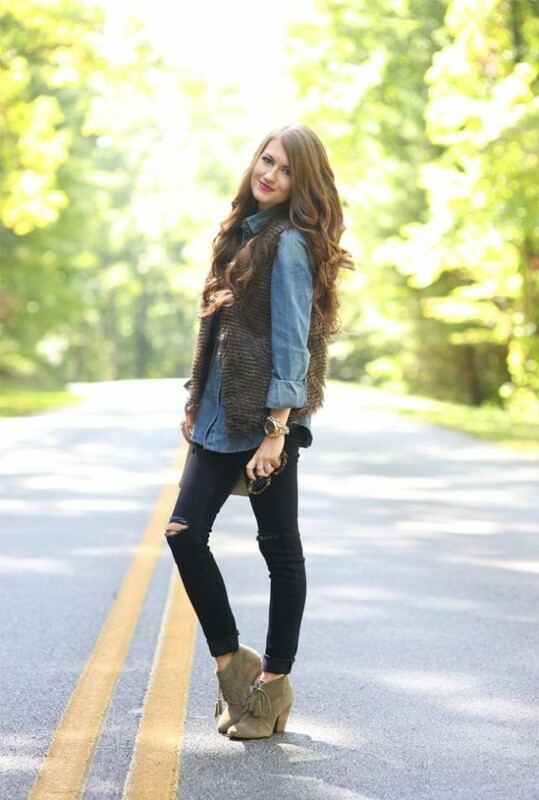 One piece of cloth that is perfect for layering and that is a fall wardrobe essential is the faux fur vest. So, today, we would like to give you several fashion tips on how to style this type of vest and we are also bringing to you 15 Stylish Outfit Looks With Faux Fur Vest that you may love to copy. A faux fur vest can make a statement and can easily add a touch of extravagance and luxury to any of your outfits. It can be found in so many versatile styles and colors, so you will for sure find the one that suits your body and taste. Faux fur vests can be worn during day and night time, as part of more casual outfits and even over some evening gowns. For the not so cold days, you can wear your fur vest over shirts, sweaters or dresses. And when the temperatures get really low, you can even wear it over your leather jacket. Faux fur vests can be either long or short. The short ones can look great with longer layers underneath and the long vests should be worn with pants or jeans and not with skirts or dresses. These type of vests can be found in vibrant shades too. For instance, a burgundy fur vest can look great over black and white striped dress. When it comes to the footwear choice, depending on the type of your outfit, you can wear faux fur vests with flats, oxford shoes, heels and all types of boots – from ankle booties to over-the knee ones. Brown, black and grey may be the most common colors for faux fur vests. You can choose to wear them with monochromatic clothes, or you can wear them to create a contrast. A black faux fur vest can add an interesting textural element to an all black outfit. 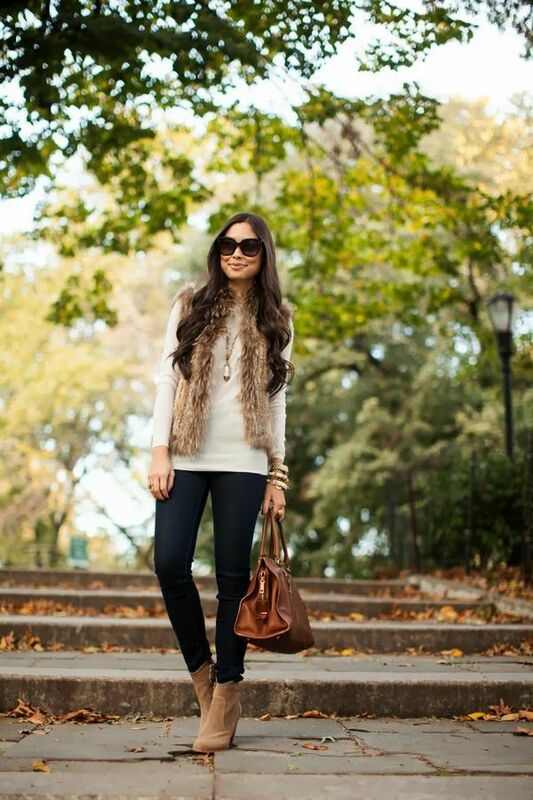 For a ladylike look wear your favorite fur vest over a dress and pair it with some over-the-knee boots. Put on some fedora hat, which is considered as the must-have accessories for this fall. These were the street style looks with faux fur vests that we have chosen for you today and we hope that you liked them. Tell us in the comments which one from the above looks is your favorite and what color you would choose for your faux fur vest. Thank you for reading and don’t forget to stay up to date with our content to find many other street style looks that you can draw inspiration from for your next outfit combinations.